When it comes to home design, there’s one room that homeowners get more excited about designing than any other… The kitchen! 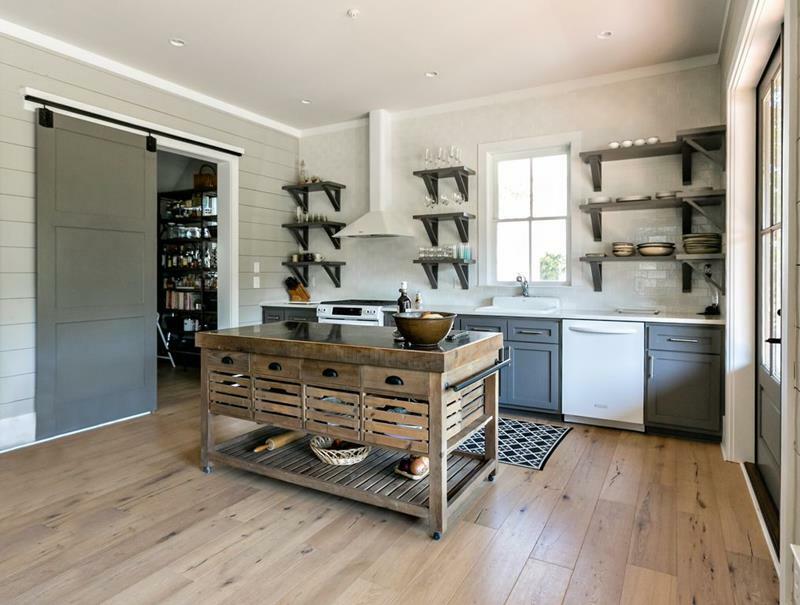 This is a completely understandable attitude, as there’s just so much that goes into a kitchen design and so much joy that comes out of having one that’s both beautifully and practically laid out. What kinds of countertops are you going to choose? And how about those cabinets? 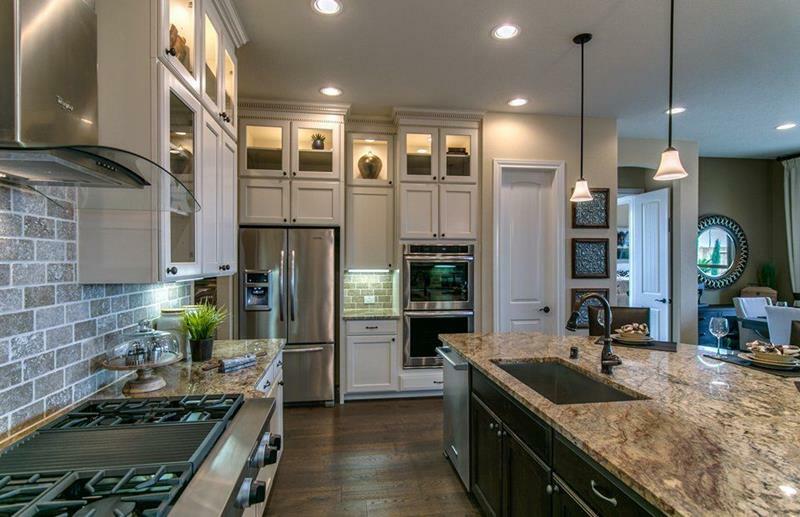 Actually, which kind of counters are going to look best with those cabinets? And how about the appliances? Where should those go, and what kind of appliances should they be? 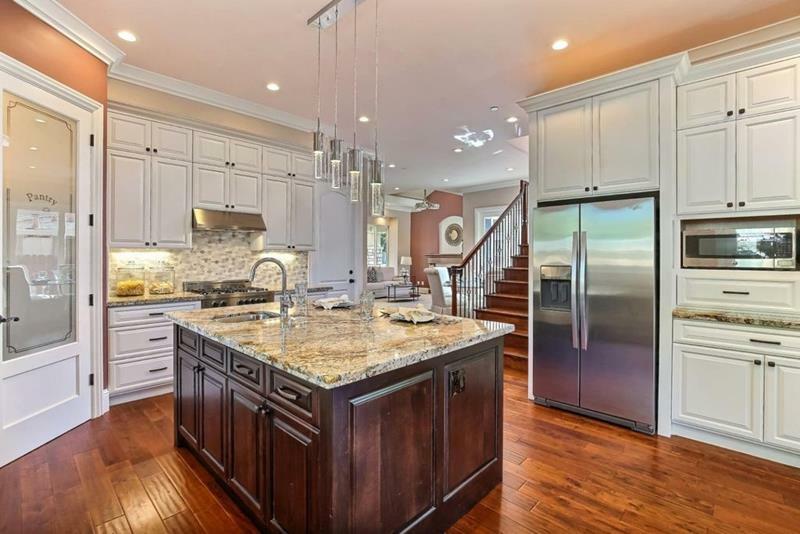 Of, and do you need a center island? Is this going to be a kitchen that’s designed for cooking or one that’s designed to entertain? 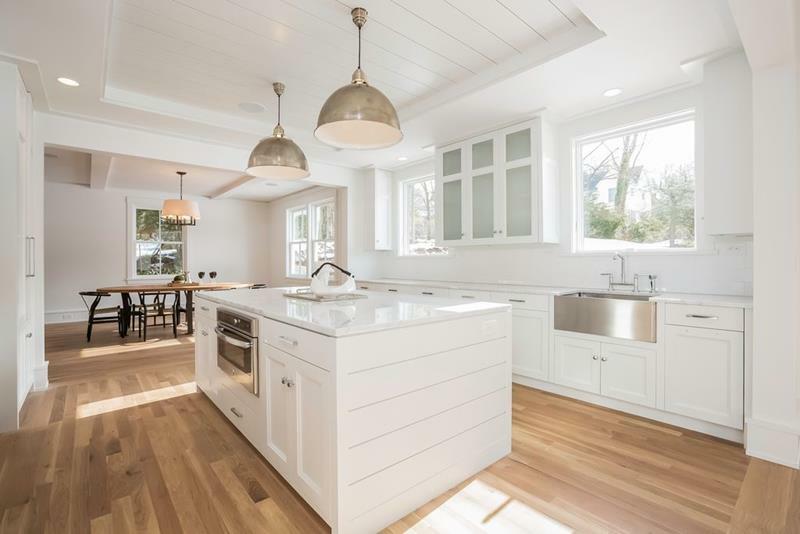 The chrome light fixtures hanging over the center island are the perfect complement to this all-white kitchen. There are a lot of cool features in this kitchen design, most especially the pantry closet with that fun door. 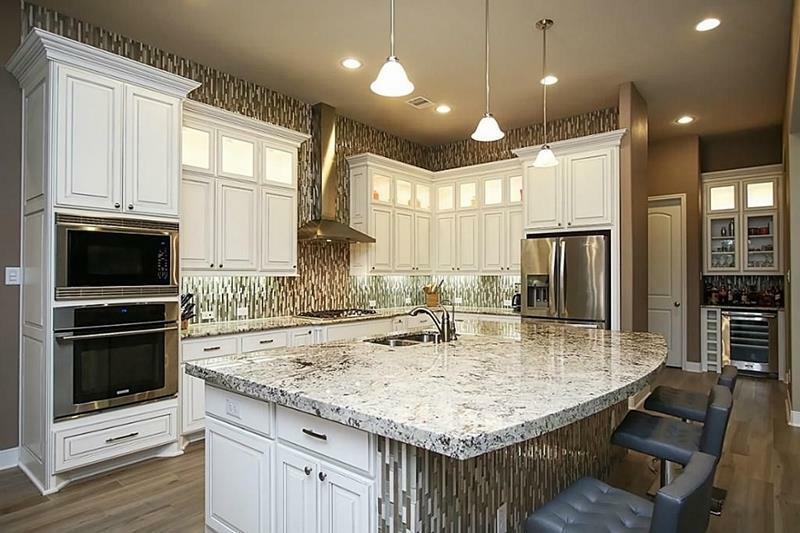 This kitchen definitely makes a splash thanks to that tile work behind the cabinets and below the countertop of the center island. 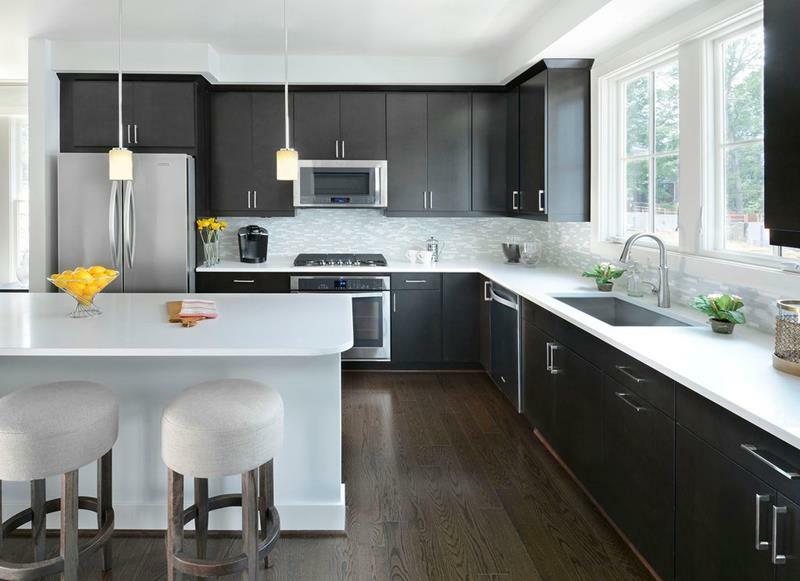 Here’s a black and white kitchen design that does a number of different things well in terms of creating a sense of dimension. If you want a rustic look in your kitchen, or else want some flexibility, a floating island can be a nice thing to have!